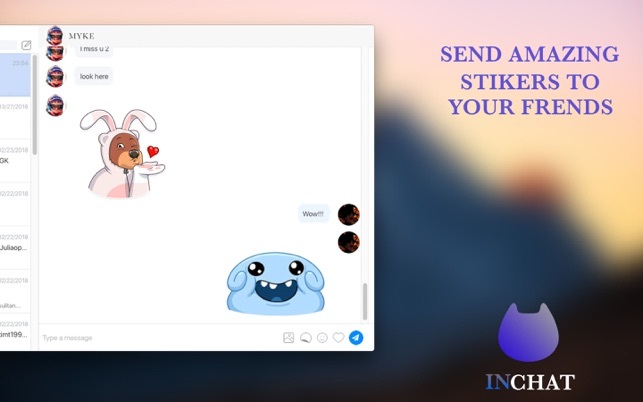 The best and messenger/chat app for Instagram users ever! If you use Instagram and you want to privately chat with your friends and followers, this is the app for you. * Up to 3 users in same time!!! 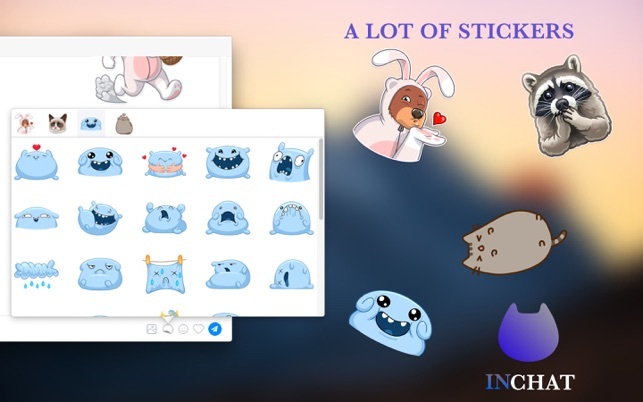 InChat is NOT intended to be a replacement of Instagram. If you want to post comments and likes, and unfollow users, please use Instagram. 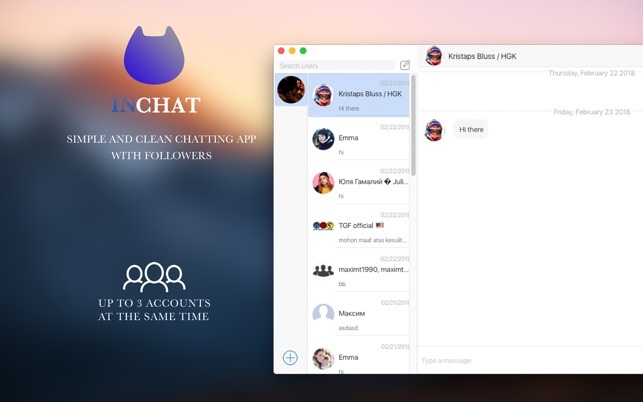 InChat uses the Instagram public API and OAuth2 protocol for login. InChat DOES'T get access to personal user information(ex. email, password, phone, etc.). -- Fixes for rare crashes on macOS 10.12. I bought this app to message new users. The search function is great but it does not allow you to enter a custom message. What ever you type down it will automaticlly send "I would like to start chatting" which sounds very creepy. I did a test message to my other account and what ever i write it just says "I would like to start chatting” multiple times. How do i get a refund or new version? great concept to whoever can nail this app correctly. I have tried a dozen times to connect to my account and it fails every time! How do I get my money back???? ?